My name is Vivienne Gucwa. I am an artist, creative director, photo-editor, and author of two books: NY Through the Lens and New York in the Snow. I specialize in New York City photography. 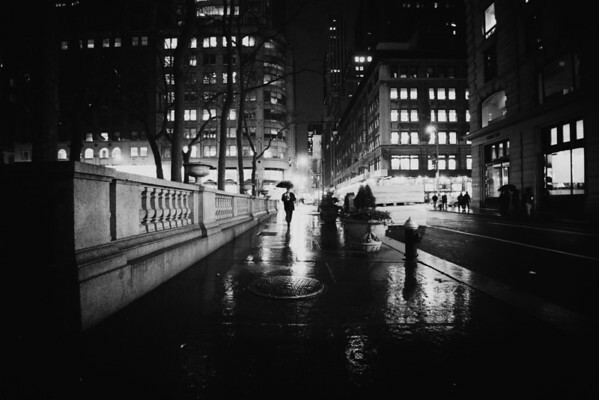 A black and white city scene of a rainy night in New York City as a person walks along a wet sidewalk next to Bryant Park in NYC. My name is Vivienne Gucwa. I am an artist, creative director, and author of two books: NY Through the Lens and NY in the Snow. I primarily specialize in New York City photography. You can license my work for film, print, television, and digital use. I also work directly with brands. If you wish to contact me regarding my work you can contact me at photos@nythroughthelens.com.